With Legistracker software you can enjoy worry free management of your client’s bills for the ultimate in lobbying efforts and advocacy across the state. Keep track of progress daily online too with updates straight to your inbox. From grassroots campaigns to major legislation, we’ve got you covered across the state for maximum lobbying impact. This software provides a complete solution for the ultimate ease of organization to monitorall aspects of your chosen legislation online. With Legistracker you can enjoy peace of mind with easy management options for each of your clients. Track new bills with convenient color categories for status and manage custom reports to give the best information possible to your clients today. While other platforms may require advanced technical knowledge or lengthy setup times, Legistracker can have you tracking any bill you choose in a matter of seconds. For even more convenience you may choose to filter by client or employees too with our intuitive design. From grassroots to major campaigns Legistracker has you covered, you can even export all of your collective bill reports to Excel as well for the ultimate in bill tracking. It only takes a moment to manage each of your client’s bills with our handy calendar online. Choose the dates you need and track events with ease. You can include recently added bills as well by clicking track bill to each track bill without worry or negative impact to your efforts. 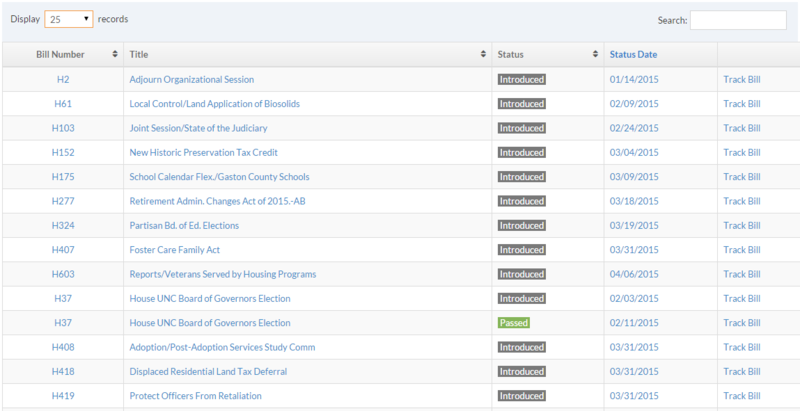 You can even track grassroots campaigns alongside major legislative efforts across the state to get started with advocacy for any cause you choose. Need to send a detailed report to your clients online? Want to send a summary of meetings with representatives to track your advocacy efforts? With Legistracker you can do this easily. Simply choose to add an analysis to the tracked legislation of your choice. Then just copy paste in any text for your bills from the web or other documents. When you have finished the content will automatically be saved into the system with a time and date stamp in chronological order for customers to view whenever they like. Give your clients 24/7 access to tracked legislation for better management lobbying. Legistracker software can help you to generate a unique login for each of your clients. Each bill is displayed to clients in a user friendly format so that any event involving the bill can be seen quickly. 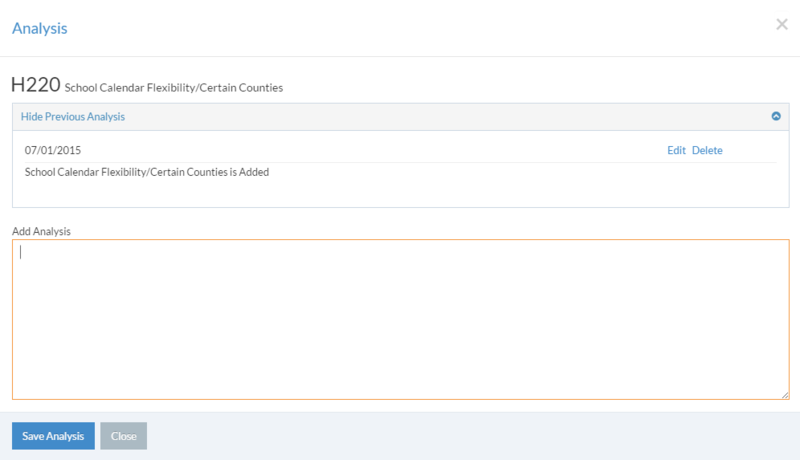 The current status and a custom bill analysis included as well for a total legislation management solution you can count on. Effortlessly track the latest bills in a simple, organized way. 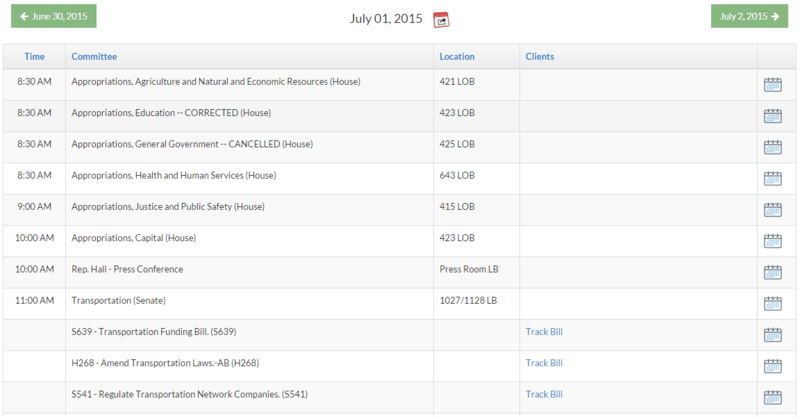 View all of the latest bills in their chronological order by their status and dates. Copyright ©2014-2019 LegisTracker. All Rights Reserved.